Through the Motability scheme, people with mobility difficulties can drive a new SEAT for three years with up to 60,000 miles. Marshall SEAT proudly champions the scheme and we can help you through the whole process of getting the car you want. With a series of competitive deals on offer, usually significantly reducing the price of the advance payment, you could secure a more luxurious model. SEAT cars are an ideal brand for Motability purposes thanks to their spacious interior and comfortable seating position. It means they can be easily adapted in a variety of different ways, including stowage, driving and access alterations – most of which come at no extra cost. We’ll take care of these details for you, so you can leave the showroom in your new car feeling satisfied and stress-free. Whether you are looking for a practical hatchback like the Ibiza, a more sophisticated model such as the Toledo, or a robust SUV, there’s a SEAT on the scheme to suit you. Lots of maintenance costs are included to take the hassle out of driving and ensure the greatest independence for disabled drivers. These include the road tax, accident and breakdown cover and insurance for up to two named drivers. You don’t even have to worry about servicing or tyre and windscreen replacements – all of these are built-in. 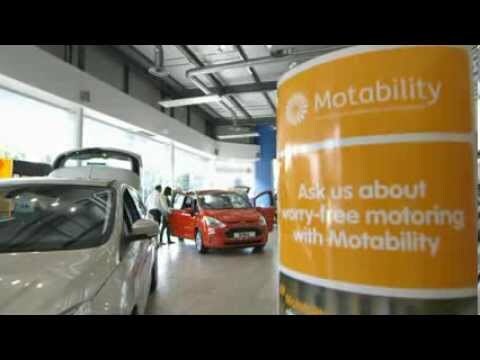 To get started with a Motability SEAT, visit us to browse the cars or get in touch in advance to make an appointment. You can either call us or submit an online enquiry form.